Dr. Kendra Flores-Carter is a maternal child and pediatric clinical social worker for university-affiliated teaching hospital Arrowhead Regional Medical Center (ARMC) in Colton, California. 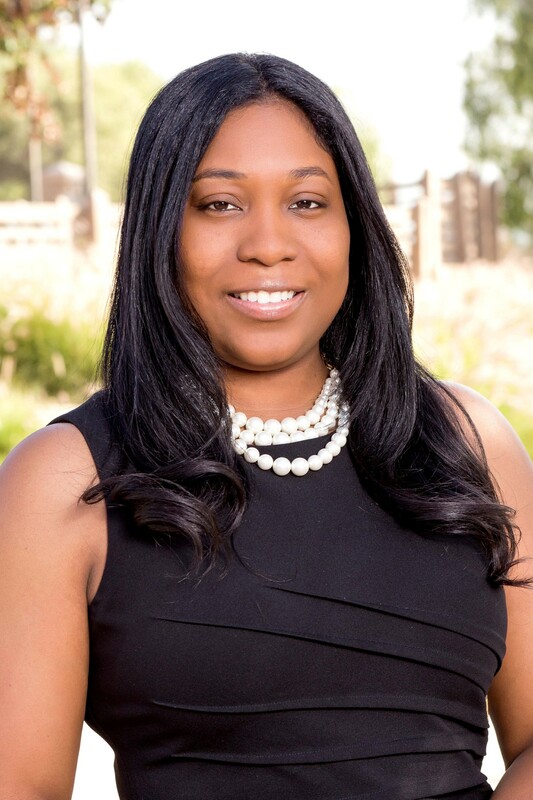 Currently teaching at California State University San Bernardino, Dr. Flores-Carter will be at California Baptist University starting in August 2018 as an Assistant Professor in the Masters of Social Work program. She has a bachelors in Psychology from California State University, Dominguez Hills, an MSW from California State University, Long Beach, and a doctorate in Social Work from University of Tennessee, Knoxville. I was born in Central America, growing up in this little village in the western part of Belize called Tea Kettle, named for a local waterfall shaped like a tea kettle. My mother moved to the U.S. on her own when I was 4. When I was 14, my mother returned for me and my siblings. We moved to South Central Los Angeles. I attended Crenshaw High School and was a member of the Urban League. I began working at ARMC shortly after graduating with my MSW in 2007. I am currently an active graduate member of Alpha Kappa Alpha Sorority, Inc. Pi Sigma Omega chapter where I volunteer my time working along with other members of the organization to provide educational enrichment, promote healthy lifestyle choices, and help to foster positive family engagement activities to the disenfranchised and marginalized families within our communities. In addition to my community service work I also serve as the Co-Chair of the Inland Empire Maternal Mental Health Collaborative, one of the biggest collaboratives within the inland counties as its members are both from San Bernardino and Riverside Counties. We work to help bring education, awareness and resources on maternal mental health to families within our communities. Arrowhead Regional Medical Center now offers maternal mental health education and community resources to all pregnant and postpartum patients that receive care at the hospital. Patients also have a postpartum support group, open to the community, on the grounds of the hospital. My interest in this area began in 2013 when I started to notice an increase in consults given to me by doctors for pregnant women experiencing depression during pregnancy. I tried to locate resources and gain education but there wasn’t anything available in the “Inland Empire” region of California. The following year I began pursuing my Doctor of Social Work degree. I was asked to create a research project about a subject that I didn’t know much about but wanted to learn more about. I chose postpartum depression; since it would be beneficial for me to provide education to my patients, I wanted to learn more for them. As I started my research project I discovered that postpartum depression was prevalent among women, but realized that nothing was really being done to address the issues within our medical setting. I did community outreach, created a support group for my patients, and implemented educational materials for women in our clinics and maternal child units. Educational materials such as pamphlets and brochures addressing postpartum depression were provided by Children’s Network and placed in all our admissions packets, ensuring that all our maternal patients were receiving education on postpartum depression and given a flyer for my support group. I wanted to make sure that all patients had this type of education prior to leaving because my research had taught me the potential negative impact untreated postpartum depression could have on babies born to mothers who suffered. I wanted to make sure that all my mommies knew where to get help and resources. I also implemented ongoing postpartum depression training for the maternal child nursing staff to help them identify the signs and symptoms of PPD. I brought additional awareness by screening the film, Dark Side of the Full Moon, for staff members within the hospital. I discovered my niche working within maternal mental health. Tell us about your work and your research. Is there something your research pointed to that you’d like to be more widely known? Once I started doing my research on postpartum depression and maternal mental health I realized that there were limited studies with women of color. Since the majority of patients I see in the hospital are minority women, I wanted to learn what they knew about maternal mental health, especially postpartum depression. I narrowed my research to examine: Black Women’s Knowledge of PPD and Their Attitudes towards Seeking Mental Health Services. My study was statistically significant in its findings that Black women weren’t very knowledgeable about PPD and that my intervention to implement a MMH educational video helped to change that. Because of my study, many women were able to gain much needed education on a topic that really isn’t addressed as much as it should within the Black community. Many of my patients often mistook depression symptoms for normal stress related to daily life struggles. Black women are very strong, but I wanted them to know that seeking help for postpartum depression was very important for them as well as their babies. It’s important that hospitals provide a setting where all women are being asked about their experiences of mental health symptoms, especially women of color as they are at the highest risk to experience postpartum depression. Today more than ever, given the climate of the “Me too” movement and the prevalence of racial discrimination, it is vital to ensure that women of color are doing well during pregnancy and beyond. Much work still needs to be done, however, because even though my study was significant in improving knowledge, it did not influence attitudes among the women of color about seeking mental health services. This tells me as a researcher, and as a women’s mental health advocate, that we need to explore more treatment modalities to remove stigmas that prevent Black women from seeking mental health services. In future research, I plan to explore interventions such as mindfulness and faith based treatment modalities as potential ways to build more positive attitudes towards seeking mental health services within the Black community. I believe that partnering with faith based organizations may help bridge the gap in reaching women of color and the Black community in general. Publication of my research, and more ideas on how to bridge the mental health gaps for Black women, are further explored in the soon to be release book entitled #Fierce Feminism: Women in the 21st Century by Author Robyn McGee (available in June 2018 at Kendallhunt.com). I wrote a chapter in the book entitled “Black Women and Postpartum Wellness: You Are Not Alone” which I am hoping will shed more light and provide professionals with insights about what communities need to do to encourage and empower women of color to reach out for help, in addition to creating interventions that address their specific needs. You first joined PSI as a student member. How has PSI membership been beneficial to you and your career? I joined because I wanted to learn more about PSI and also be able to gain more resources for my patients. As a member, I have been able to attend several conferences that I learned about through PSI promotion and emails. In addition, I have been able to locate resources for my patients closer to the where they live. As far as my career, I am elated that I get to present my research poster, as well as my work in maternal mental health within the hospital, at the PSI conference in July 2018. I’d like to share that I have a consulting organization called Caribbean Moms Network to provide educational trainings on women’s health and women’s mental health. Since I am from Belize, I’d especially like to be a significant source of information to women from the Caribbean who suffer from maternal mental health concerns. Often, immigrants feel ashamed to ask for help and I want them to know that I am here for them to provide education, support, and resources. In addition to my consulting organization, I also just created a non-profit called Janet Don’t Cry, a tribute to my aunt, Janet West, who silently suffered from mental illness for many years. Creating this non-profit will be my way of giving back to the community. The aim of Janet Don’t Cry is to bring forth education and resources on mental health globally, especially to my home country of Belize as we have a significant stigma when it comes to mental illness. Dr. Flores-Carter will be presenting a research poster, as well as a breakout session about her work in maternal mental health within a primary care setting at the PSI conference in July 2018 in Houston Texas. Learn more and register for the conference here. This is the first of a series of interviews of featured members of PSI. If you know of a PSI member you think we should feature, please contact membership@postpartum.net.